In the legend of Aladdin from the Tales of the Arabian Nights, the hero is imprisoned by a magician in a vast underground cavern of interconnecting caves full of fabulous riches. The phrase Aladdin’s cave is often used to describe a place crammed full of interesting objects, and if ever there was a building worthy of the definition it was the Pilgrim’s Book House in the Thamel district of Kathmandu. Squeezed between restaurants, bars, souvenir shops and cheap tourist guest houses was an inauspicious shop front which led into a maze of rooms filled from floor to ceiling with books which must have taken years to accumulate. I say “was”, because on Thursday the Pilgrim’s Book House burned to the ground in a huge fire which swept across Thamel. Miraculously there were no serious injuries, but the Pilgrim’s was a tourist icon whose loss is going to be mourned by a great many travellers to Nepal. On the left you can see a selection of the books and maps I have bought from the Pilgrim’s over the years I’ve been visiting Nepal. Most of them are obscure works which until recently would have been very difficult to get hold of anywhere else. I usually conserve my luggage allowance when flying to Kathmandu, because I know I’ll be able to pick up books for my expedition from the Pilgrim’s. 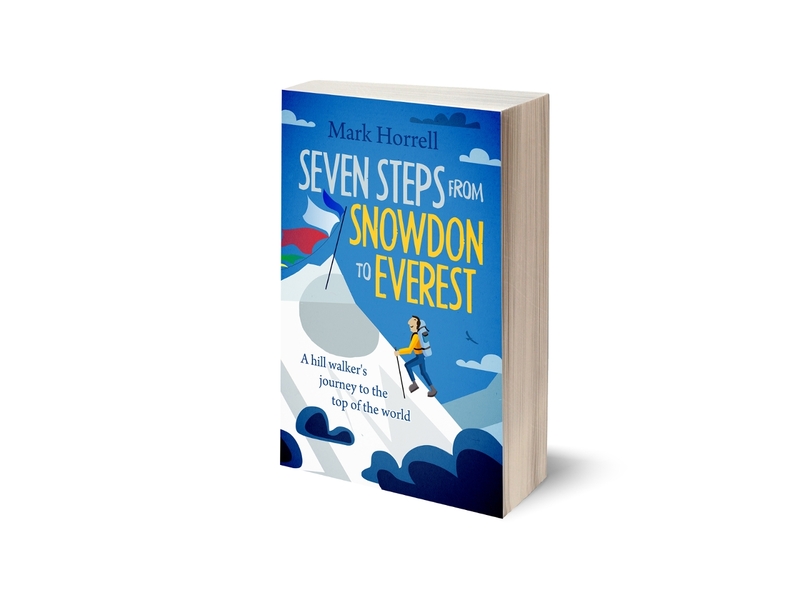 If anything the bookshop has made my eclectic taste in literature even more eccentric, and I often get abuse and bemusement from travelling companions who were hoping to do a book-swap at some point during the expedition. Some of the obscure books I’ve picked up there include Phra Farang, about an Englishman who chucked it all in to become a Buddhist monk in Thailand, The Life of Milarepa, about the 11th century Buddhist poet and yogi, and Lore and Legend of the Yeti. 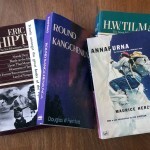 I have a bit of a thing about yetis, and you can’t find many books about them these days. The Natural History Handbook for the Wild Side of Everest has helped me identify dozens of birds and plants in the high Himalayas, Top Treks of the World convinced me to visit Bhutan and walk the Snowman Trek, and On Top of the World: Climbing the World’s 14 Highest Mountains has been pored over many times when I’ve written posts on mountaineering history for this blog. The Pilgrim’s Book House must have contributed a great deal to a worldwide interest in mountain literature, old and new. They have their own imprint, and have reprinted many old historical works. Two I’ve bought from the store in Kathmandu are Douglas Freshfield’s Round Kangchenjunga, and First Over Everest, the account of the first ever flight over Everest, which celebrated its 80th anniversary this year. The staff at the Pilgrim’s have always been very responsive to customer needs. On one occasion after returning from safari in Bardia National Park I hunted every side room and passageway for Mammoth Hunt by John Blashford-Snell, about an expedition to find the world’s largest Indian elephant in western Nepal. As I was buying half a dozen other books I mentioned it in passing to the man on the desk. “Ah yes, I think I know the book you mean,” he said. He made a phone call, and a few minutes later somebody else appeared bearing an old and battered second-hand copy of the very book I was looking for, possibly the only copy in Kathmandu. On another occasion I asked about Tiger for Breakfast, a biography of the Russian ballet dancer Boris Lissanevitch, who was the first person to open a hotel in Kathmandu in the 1950s. They looked it up on the catalogue for me, but they told me to order it would cost around $100 USD. I was intrigued by the book, but not that much, so I declined. It might have been coincidence, but the next time I walked into the Pilgrim’s several months later, there was a pile of reasonably-priced copies of Tiger for Breakfast sitting on one of the promotional tables in the front foyer. It wouldn’t have surprised me if the bookstore had pulled strings to get this notable historical account of the early tourist days of Kathmandu republished. 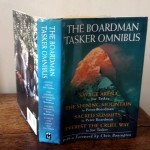 It won’t surprise you to learn I’ve bought a great many mountaineering books from the Pilgrim’s. An area beyond the main foyer used to have dozens of weighty coffee table books arranged in neat piles. The one on the top was always a well-thumbed copy you were allowed to flick through to admire the glossy photographs of stunning mountain views. I often spent many minutes there turning page after page, and nobody ever hurried me to buy. It was like being in a Himalayan art gallery. To the left of the mountaineering section an archway led off into a souvenir shop which had a wall of maps to one side. At the very back of the Pilgrim’s Book House was an airy café where you could retreat from the hustle and bustle of touristy Thamel and enjoy coffee and pizza in the peace and quiet. The upstairs of the Pilgrim’s was the part which most closely resembled Aladdin’s cave. I never found a genie, but I spent a lot of time in the cosy Tibet room, which led into a small chamber crammed with obscure books about Buddhism. The fiction section was a wall of interconnecting rooms, and at the top of the stairs the wildlife section looked down into the main foyer. The Pilgrim’s Book House was owned by an Indian book lover and businessman called Rama Nand Tiwari, who first started selling books at the age of 18 from a blanket outside a government tourist bungalow in Varanasi in 1971, when the owner of a bookshop he worked in died unexpectedly of a heart attack. He eventually saved up enough to rent a small bookstall next door, and later to open a shop. There are now three Pilgrim’s Book Houses in Varanasi, Delhi and Kathmandu, and the Kathmandu branch opened in 1984. I expect it was insured, and its owners will be keen to re-establish it. Many of the Buddhist volumes I picked up in the Pilgrim’s taught me about impermanence; everything that exists has a lifespan, and we don’t need to mourn it when it’s gone. The next time I visit Kathmandu I fully expect a new Pilgrim’s to be there in its place, and I imagine it will be even better. But Aladdin’s caves must take years to evolve. There were probably a few books tucked away which hadn’t been touched since the 80s, and the new one won’t be the same, for sure. I will retain a nostalgic recollection of the one which stood in Thamel until last week. Bibliophiles can read a little bit more about the history of the Pilgrim’s Book House on their website. Interesting post. Sounds like a great little place. 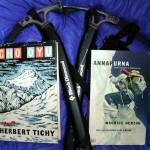 Pilgrims was wonderful and the source of so many of my armchair mountaineering expeditions over the years. The one consolation of finishing a trek was browsing Pilgrims back in Kathmandu, in search of inspiration for the next ‘big trip’. It was definitely a dream factory (many of which were never to be fulfilled in reality 🙂 and will be surely missed by all regular visitors to Nepal. It sure will be missed, but your dreams were never fulfilled in reality, in Nepal? Are you sure? Always nice to see one of my photos online! Personally I preferred taking coffee at New Orleans opposite (Ian introduced me to that). But That may well have gone the same way. Any bars lost that you know of? Mr B, you’re a secret reader of my blog. Nice to hear from you, and nice to hear where your priorities lie. Don’t worry, Sam’s Bar survived! All the more reason to treasure my small collection here in BC, Canada of books bought from Pilgrims in Thamel at the tail end of Rotary village project & trekking visits to Nepal….even got to meet the distinguished founder-owner on my first visit to the rear courtyard cafe … photos from those visits will also be treasured all the more as a result of this tragic loss to book lovers the world over. Thank the gods nobody was killed in the conflagration. Almost a year on and I’m still gutted about the loss of Pilgrim’s. 😮 Have they opened the new bookshop yet, Mark? I believe they have, yes, although I didn’t get round to looking for it. A catastrophe ! a collection in Buddhist and Asian information equal to the burning of the library at Alexandria … I am personally crushed and despair of such a collection ever getting together again. Irreplaceable, a world treasure, beyond compare. This is horrible. Why, mr “news reporter” did it burn? Despair not, I visited the new Pilgrims Book House just down the road when I was in Kathmandu last month and it appears to be every bit as good. There isn’t a cafe at the back any more but the books are all still there. A miracle! Pingback:My poet debut in Kathmandu, Nepal. | Adam from Norway - defining being human: featuring my literary works / visual art & cool links. I had the enlightened pleasure to know the Tiwari’s quite well during my 22 years living in Nepal. Over the years I’ve seen Pilgrim’s blossum via Rama’s remarkable spirit & creative outlook. Now, almost another 20 years have passed, & not looked back– yet still fond memories always to be a part of my life.